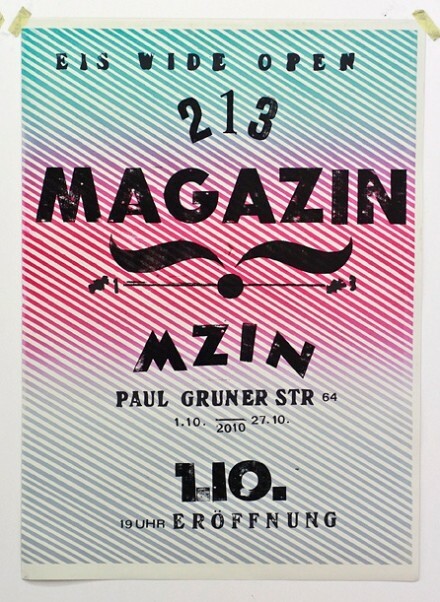 The kind people of 213 Magazin send me some first impres­sions of their show at MZIN in Leipzig. I hope you had a great even­ing! And every­body who want to see the exhib­i­tion fol­lows this link. The 213Magazin is an inde­pend­ent zine pub­lished by stu­dents and alumni of the Uni­versitiy of Arts and Design in Halle (Saale). Foun­ded in 2009 the magazine for as an platt­form for artists to pub­lish their works and as an exper­i­ment­al play­ground. 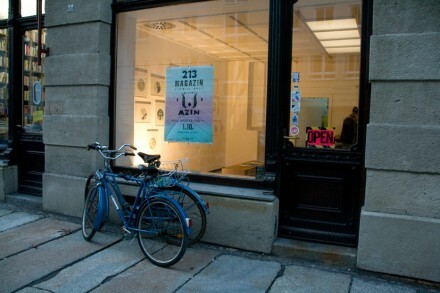 213Magazin intro­duce their three issues in form of an exhib­i­tion at MZIN in Leipzig (Ger­many). If you can’t be there check their web­site where you can buy all issues (except issue #1 it’s sold out) via email. Octo­ber 1st, 2010 · 7 p.m.